Fantasy Football Geek is a UK-based fantasy football blog that offers advice, tips and strategies in all fantasy football formats. 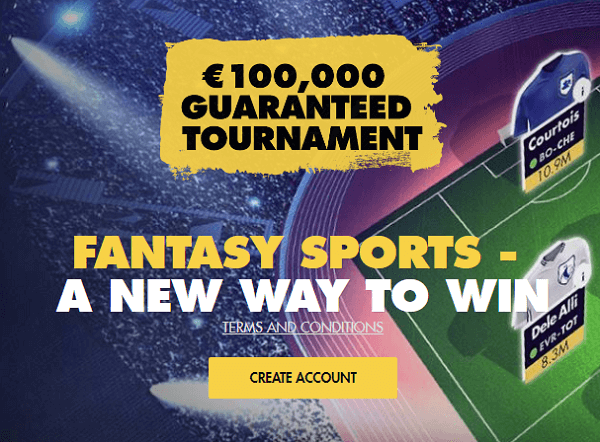 Some of its leagues include the Sky Sports FF, the Barclays Fantasy Football geek, the Telegraph Fantasy Football, the Fantasy Football Geek Sun Dream Team, and the Facebook Fantasy Premier League. Fantasy Football Geek Blog is your one stop fantasy shop. Like mentioned, fantasy football geek blog ensures that you are up to date with information relating to all the fantasy football leagues and competitions from all across the world. In the recent development, fantasy football geek has introduced the Euro 2016 fantasy football tips. This awaited event was going to take place in France as from June 2nd till the end of the month. In the Euro 2016 fantasy football geek tips, he focuses on some of the major fantasy competitions that are going to be based on the event. So far so good, there are two main competitions; the telegraph fantasy football and the McDonalds Fantasy 2016. In this, he has already created two separate leagues, with the league code for the McDonalds competition being 22771LCL while that for the Telegraph fantasy being 8110228. However, you will have to part away with £3 to join the Telegraph League, an amount that you can pay through Visa Card, Master Card, and PayPal. In the Euro 2016 fantasy football geek, he aims at ensuring that the articles will be straight to the point. For the various Euro 2016 fantasy football articles, he will feature the rules and do a fixture ease. He will then proceed to do an analysis of the key players in the tournament. He will also analyze some of his teams and other teams that the Fantasy Football Geeks shall have so that he keeps you updated on any team injury or news that may come in due course of the competition. 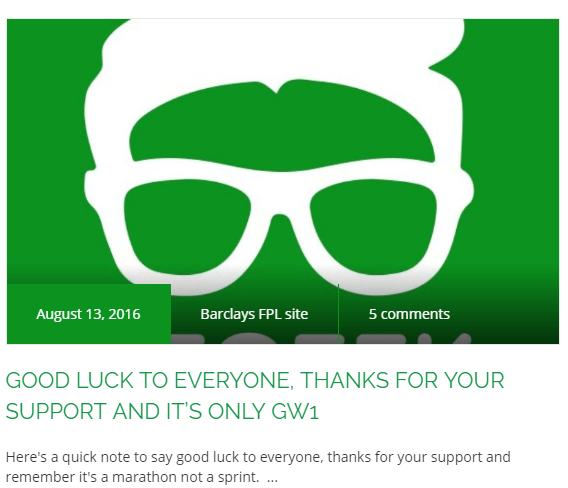 There is also the Barclays fantasy football geek preseason analysis. This section is usually divided into various subsections and will cover up to 10 teams that are in the EPL. 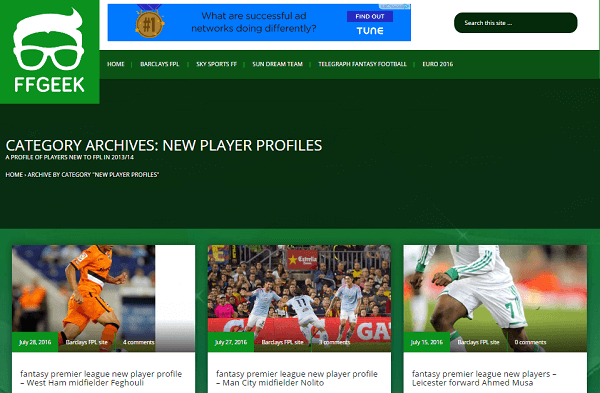 He analyses every club's Fantasy Premier League players of interest as well as the possible game week one line ups. He also looks at every team's six first fixtures of the season and advises on what you should do. Additionally, he has the various codes for the various Fantasy Premier League competitions. This section is usually helpful as it helps players discuss on the possible lineups of the first games. To keep you up to date on the various team news, especially suspensions, the Fantasy Football Geek Blog has the news section. This section mostly focuses on keeping you to tabs with the fantasy premier league suspension news and players who are one card away from going into suspension. Usually, players who have more than ten cards are suspended from participating in three consecutive matches. This section usually features some of the latest signings in the English Premier League. The section usually features how the new players have been playing in their previous clubs and how they will fit in the new team. If the players have exited from an English Premier League team, the Geek looks at the implications and how or what the team has done to cope with the void created. The strategy section is the most important part of the fantasy football geek blog. In the strategy section, the geek looks at a number of things that we need to rush through quickly. The ownership of the team – he advises the fantasy players on the importance of ownership. He gives you the idea of what you should be looking for when owning a team and what criteria you should be using when picking your players. He also gives a few tips on what you should avoid when creating a team. Structure and formation of the team – this is another focal point for any fantasy team. In this section, the geek advice you on which formation you should use and when to use it. He advises you on which players to choose as well as the positions they should play for the best performance. The Captain Choice – A captain can build or destroy you when it comes to the various competitions. In fact, he is the most important player when it comes to fantasy football as he contributes the most number of points to your team. It’s for this reason that the fantasy football geek ensures that he’s given you up to date tips on the correct way of selecting a captain. Wildcard – the wildcard usually helps you in times of need. Times when you have your team wrecked with injuries, and you have very few opportunities of making transfers without being deducted points. Consequently, the Geek will advise you when you should pull the wild card to use it. Double Game weeks – the double game week’s section mainly features tips on how you should make a selection when a team has more than two matches in a week. Usually, this happens around Christmas time and when teams have lots of games in hand due to conflicting schedules. Injuries – Lastly, the geek also features tips on how you should select your team once you have players on the sidelines due to injuries. He’ll advise you on whether to select a defender or just replace the injured striker with another striker. If it’s a midfielder, he advises you on whether or not to select a midfielder or a defender. In short, he will be advising you on what options you should consider in case of an injury crisis. With this said, I’d advise you to sign up with the fantasy football geek and keep up to date with the latest and accurate tips. 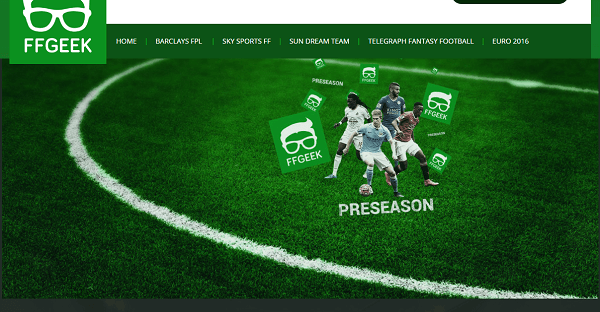 Additionally, you should always check out the Fantasy Football Geek Sun Dream Team, the Barclays Fantasy Football geek and the Telegraph Fantasy Football.